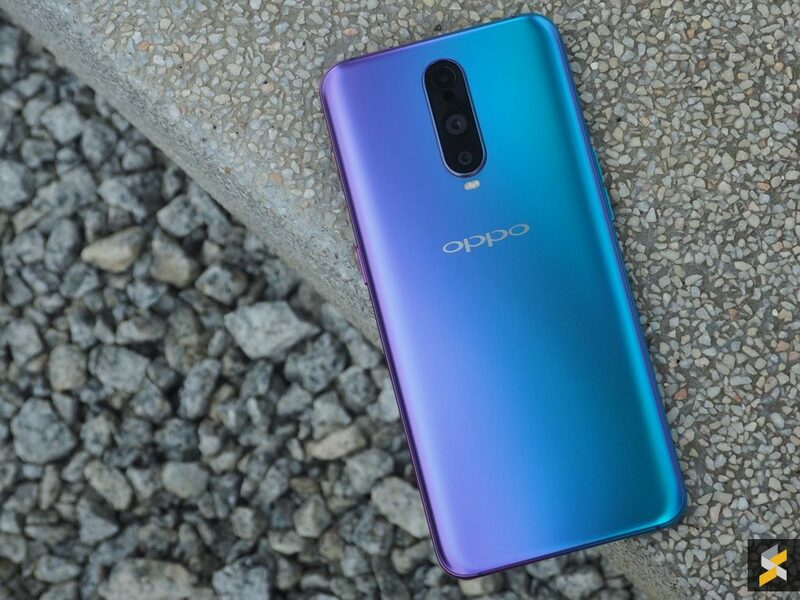 OPPO’s new triple-camera smartphone, the R17 Pro is now available for pre-order in Malaysia. Retailing at RM2,699, you can get the device from as low as RM111/month on Celcom’s EasyPhone program. On EasyPhone Rent, the R17 Pro can be yours at RM111/month for a period of 24-months. If you prefer to own the device, the EasyPhone Own option is going for slightly higher at RM123/month. Surprisingly, regardless of what plan you pick, the monthly instalment amount for both Rent and Buy options are the same across the board. The monthly subscription fees are not included and it appears that you can get the R17 Pro on contract with their entry-level FIRST Blue 45 plan. The full contract details which include the advance payment for the standard contract plan isn’t known yet. 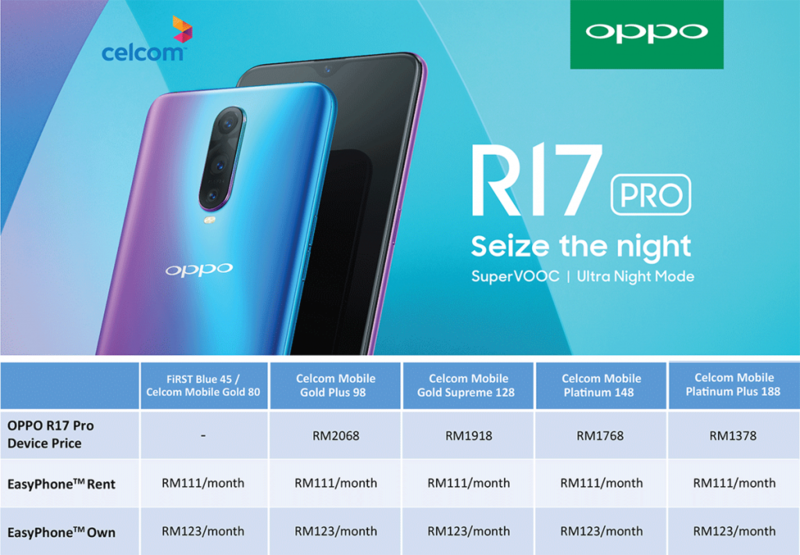 We expect Celcom to reveal more info once the R17 Pro is listed on their website. For those who prefer to purchase the device outright, Senheng and senQ are offering 24-months 0% interest instalment payment via credit card at RM112.46/month. On top that, they are also bundling a Neo Smartwatch worth RM389 for free. As usual, you can also enjoy a 1 year extended warranty when you purchase the device with a PlusOne membership. You can learn more at Senheng’s online store. Pre-orders will end on 30 November and the OPPO R17 Pro will officially go on sale on 1 December 2018. You can learn more in our announcement post.